As always ... simply beautiful work. Sweet friend, your creations always make me swoon...they are so lovely! I was just at your shop and oh my, what beauty! Your luggage cases are darling and of course the ice skates are a favorite of mine. Thanks to my dear Mom I have a pair of skates that you painted and they are so stunning. You are a very talented lady and what makes your things even prettier is the fact that you pour LOTS of LOVE into each one. Headed over to Jemma's now.... Love and hugs to you! Everything looks so beautiful, Celeste! I'm in awe of your creatively and talent. Thanks for sharing the beauty with us. What fun to have your beautiful things featured at Jemma's. Going over to visit! Such prettiness. :) I'm still proudly displaying my crown ornament for all to see. Celeste, I love everything you create! You are very talented and I look forward to your posts and have followed your blog for a while now and always love everything you do! Your painting always amazes me. You sure know how to repurpose and make something beautiful once again. Love it! Enjoy this cool down while it lasts! Happy Friday Celeste. 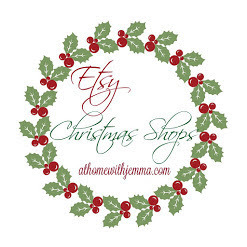 So glad you are featured on Jemma's Etsy Christmas Shopping. Your creative and beautiful treasures will be a hit. I love all the things I have gotten from you. Hope you get lots of peeps looking for that pretty and unique gift giving. Have a great week end. Hello Celeste! I can't believe it's TIME! We are getting our first snow. This weekend I will light my little silver tree and enjoy. I love those skates you painted! 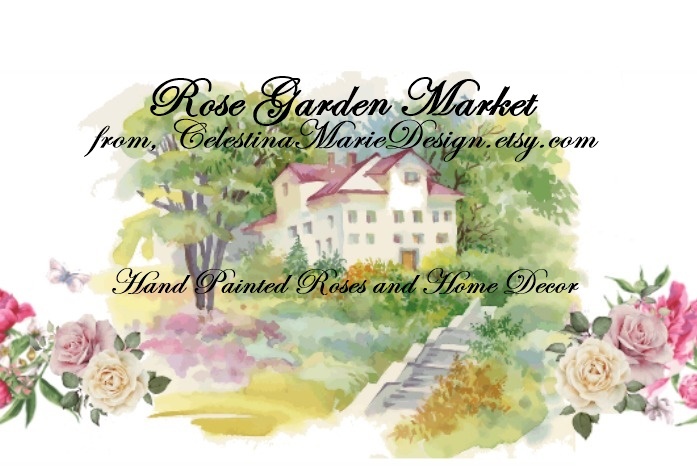 Celestina Marie, Your are so talented! Your hard work is just....well, Heavenly Beautiful! Oh, Celeste, your work is just beautiful! You are so talented, I've said that before. I want to wish you an early blessed Thanksgiving. It's simply beautiful, creative work. Celeste your house always looks happy and cheery. Always enjoy a visit to your posts. I need to go check out your etsy store. As you know I am a huge fan of your creations! There are so many lovely items listed in your Etsy Shop! I am looking forward to my package arriving. I do love Santas and the Santa bucket is so pretty! The travel cases are extraordinary!!! I do love that sweet sign too....I guess when it gets right down to it, I love it all! Hope you are having a nice weekend! Take care, and happy creating! I am here for the first time, sent over from ConnieCrafter's blog. Your creations are soooo beautiful! I am glad I came!